Miami Dolphins owner Steve Ross to reporters regarding head coach Joe Philbin. The announcement that the head coach would return was only the last item of an eventful Sunday for the hometown team. Earlier in the day the Dolphins were officially knocked out of the playoffs when the Pittsburgh Steelers held off the Kansas City Chiefs 20-12. By that point a playoff berth was little more than a pipedream. The disappointing performances over the last month truly sealed the Dolphins fate before the Steelers put the last nails in the coffin. While everything else was going on the team managed to have an exciting game with the Minnesota Vikings. 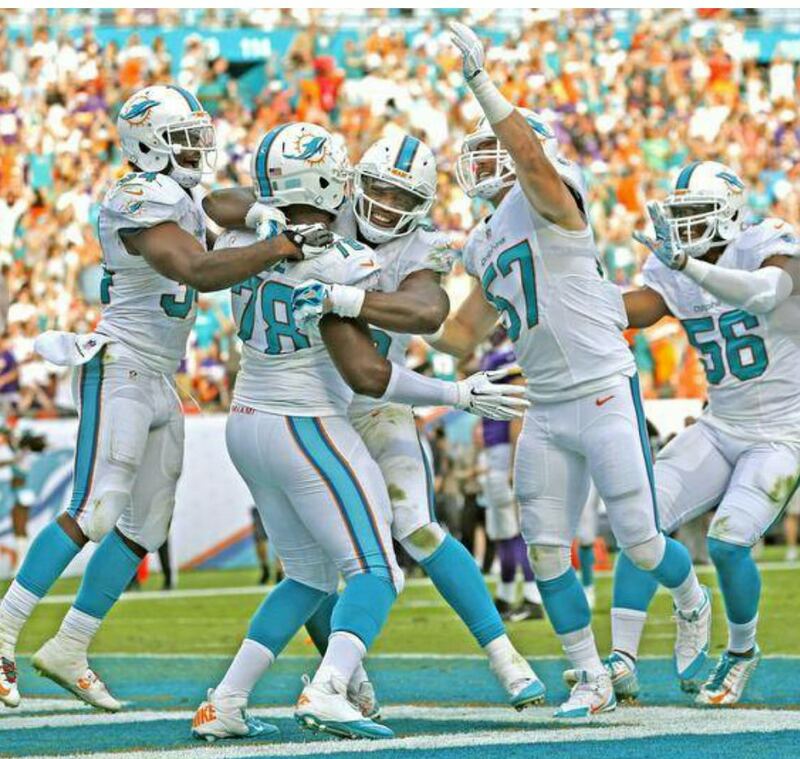 A blocked punt for a safety won the game for the Dolphins 37-35, not that they did not try to give the game away. Quarterback Ryan Tannehill had an excellent game throwing for 396 yds and 4 touchdowns. After bringing the team back to a 28-20 lead Tannehill watched as the Vikings marched right down the field to tie it up. Worse still, a fumble by Jarvis Landry gave Minnesota the ball at Miami’s five yard line which quickly became a lead. Tannehill once again tied the score with a minute left. Rookie Terrance Fede won the game with a timely punt block for a safety with only 41 seconds left. The game was symptomatic of the entire season. Good plays followed by bad. At times they looked among the best of the league, other times they looked horrible. The sixty-minute game still eludes them. The arrow is still pointing up. While some were calling for change knowing the status of the coaching staff can only be good moving forward. Now the team and the fan base can look to the future together without wondering who was steering the course.